I leave whatever worries or thoughts I had spinning around in my head behind, and all there is me and the iron. Stress leaving my body as soon as I grab the iron and start focusing on ME. The feeling of being free from everything and truly being alive when I start pushing my mind and body to be better than before. Damn I love working out! 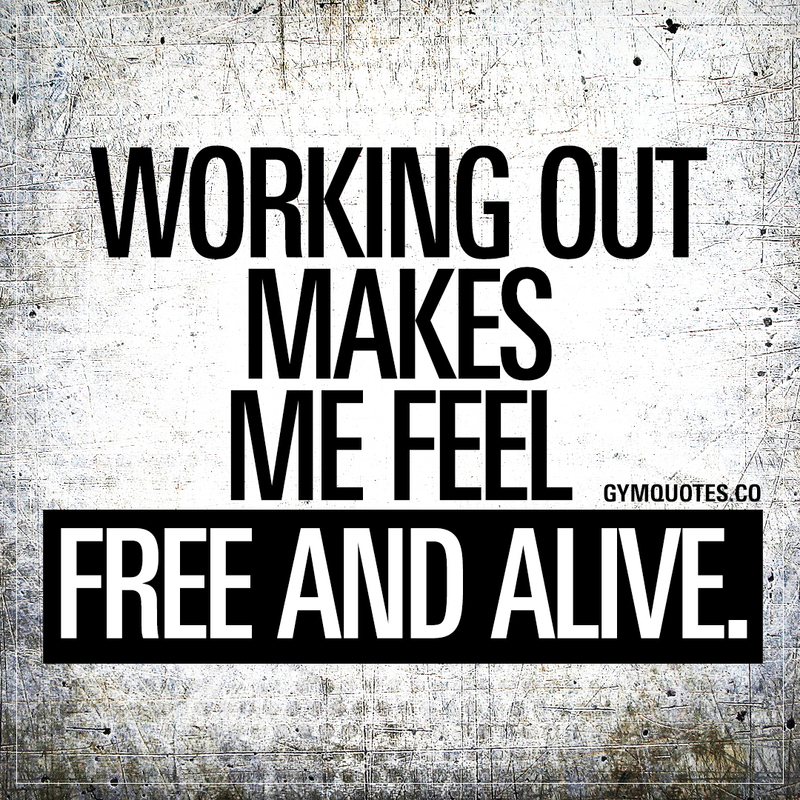 This “Working out makes me feel free and alive” quote (image and text) is copyright © Gym Quotes 2019.